“La payanca” by Juan D’Arienzo y su Orquesta Típica, 1936. 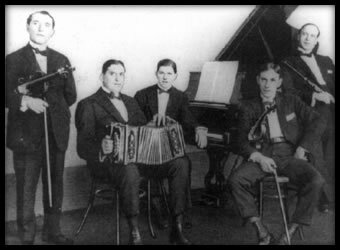 A patriarchal figure of tango, a bandoneon player of the heroic period when bandoneon became the instrument most representative of the groups devoted to tango. His contribution to the definitive adoption and recognition of bandoneon and, consequently, of tango in the different milieus and social strata has been valuable and decisive. His first tango was “La payanca”.